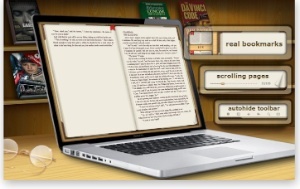 BookReader 3.8 for OS X is a mature, full-featured ebook reader for the Macintosh. 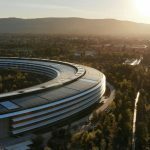 It has an iBooks-like bookshelf with good sorting and searching options, and it can read documents in many standard formats, including .epub, .doc, .ibooks and many more. This app looks so much like iBooks that some customers, in the past, thought that it might be able to view books purchased from Apple’s iBookstore and typically viewed on an iPad. However, none of the ebook readers for Mac will read DRM’d books, and the developer makes that very clear on the Mac App Store’s description page. Released in July, 2010, it has had a chance to become fairly mature, and is now at version 3.8. 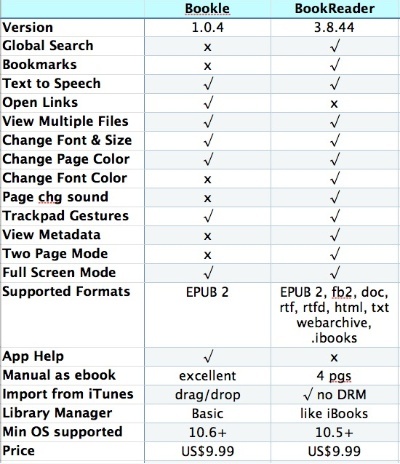 It has a lot of features, described in the comparison chart below, and will generally delight anyone who’s building a library of ebooks. It tries to make the book reading experience as natural as possible thanks to the bookshelf metaphor and a very nice set of viewing options. BookReader is notable for the nuances and details. You can just open a document and read it or you can (non-destructively) import it into your library, shown as a wooden bookshelf. There you can sort by title, author, genre, last opened date and more. You can also search by all of those properties in a “combo” search and you can control the sort method: ascending or descending. Once in a book, you can define several ways to view the book, either as a two page book or a single page notepad. 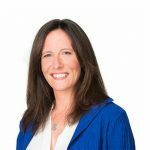 It should be noted here that you have very good control over the basic style, but you may have to create a new or modify an existing style to achieve, say, a one-page book just how you want it. As shipped, all the book styles are two-pages by default. I liked the detailed control over the background, text size, font and color. Things like the text margins, interrow spacing and a light gradient applied to the page make for great customization. You can modify the defaults for page turning and even add an audio sound effect for the page turn and control the animation. You even have your choice of processors in case one XML parser works better than another. I also very much liked the global search. It highlights the found text nicely and allows you to step forward and backwards easily through all the occurrences. To view the metadata for the book, right click it as it sits on the bookshelf and select “Properties.” Some of that metadata is editable. You can do Text to Speech as an OS X service: Select the text, right click, then select Speech. One problem I noticed, and many ebook readers have this problem, is the display of the ebook cover. There seems to be some inconsistency in how some EPUBs identify the book cover, and different apps handle it better than others. BookReader is the most natural and Mac-like reader that I’ve seen so far. 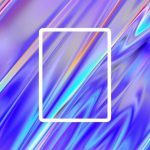 Bookle was previously reviewed, is just getting started and has very basic library management. Murasaki, which I’ll review soon is a very basic ebook reader that, nevertheless, is still ahead of Bookle in its feature list. 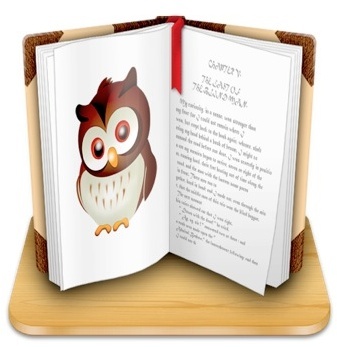 Because BookReader has an iBooks-like bookshelf that’s easy to manage and can be displayed in different ways, it will likely appeal more to iPad users who use iBooks. Moreover, if you have non-DRM’d books in iTunes, you can import them into BookReader directly. 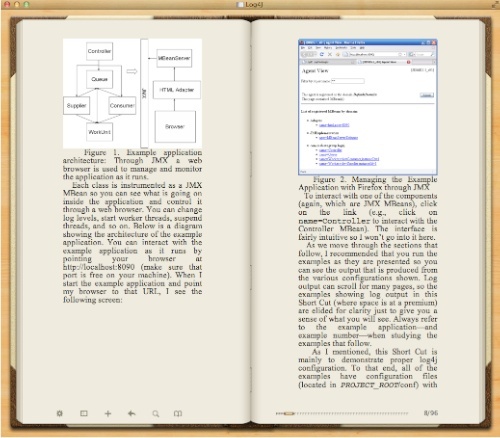 BookReader is a very nice looking, mature, capable ebook reader. Currently, it’s way ahead of the competition in its design, UI and functionality. 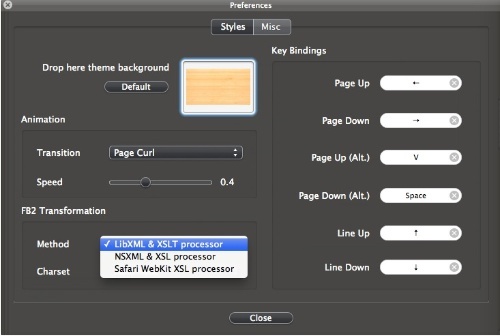 As I mentioned in the Bookle review, Calibre has been considered the most powerful ebook reader and library manager, but it doesn’t have that special Macintosh look and feel. If you want a full-featured, Mac-native ebook reader that has excellent library management, can open lots of different formats and has excellent control over the appearance of the book, this is the one to look at. 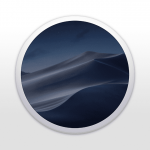 This app, available in the Mac App Store, requires OS X 10.5.0 or later and has been localized to English, Chinese, German, Italian, Russian and Spanish. 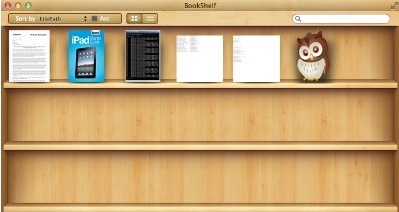 Bookshelf metaphor and strong library management, reads books in many formats, Mac native, excellent customization of ebook appearance, small, stable, and fast.